Habitat restoration is a complex process, full of uncertainties and difficult to get right. 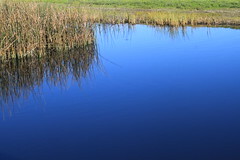 In this brown bag seminar, Delta Independent Science Board member Dr. Joy Zedler shares her research and insights on restoring coastal wetlands and improving habitat for endangered species in San Diego Bay and salt marsh ecosystems in the Tijuana Estuary. Her work on evaluating efforts to mitigate impacts of freeway widening and flood control channel construction on endangered species in San Diego Bay, and her later work on restoring salt marshes at the Tijuana Estuary were all early examples of the application of adaptive management. Dr. Joy Zedler is the Aldo Leopold Chair of Restoration Ecology at University of Wisconsin-Madison, wetland ecology and restoration, as well as a member of the Delta Independent Science Board since June of 2015. The first step in adaptive management is to have a team involved in carrying out all of the steps, she said. “In the case of the San Diego Bay project, we had to have a decider, a person who plans and implements, and we had to have a monitor; those individuals had their own responsibilities,” she said. For the San Diego Bay project, Cal Trans and the Army Corps of Engineers were responsible for the restoration; Cal Trans was widening Highway 5 and the Corps of Engineers was building a new flood channel. As the damagers, they had to mitigate for the loss of habitat for three federally endangered species, and Dr. Zedler’s group, PERL, was in charge of monitoring to see what was happening as a result of their implementation. The mitigation at Sweetwater Marsh was mandated by the US Fish and Wildlife Service under the Endangered Species Act because of the widening of the highway. The damaged habitat involved three species: the salt marsh birdsbeak (a plant), the light footed clapper rail (a bird), and California least tern, which involved fish, she said. CalTrans contractors constructed and planted the marsh, and Dr. Zedler’s group started measuring the height of the plants because the clapper rail wants big tall plants to build their nests. “They pile up debris to get a platform that can float at high tide and weave the plant stems over the canopy for protection against aerial predators,” she explained. The first phase was a little over an acre in size, but it was an opportunity to restore salt marsh and a tidal channel that went from a natural channel into an area of former sewage lagoons that had accumulated solid waste and had a lot of nutrients present, she said. They tested the need to plant eight halophytes. It was an intertidal site, and cordgrass was planted on the edge. The experimental plots were 2 by 2 meters, and smoothed out and made as flat as possible; each plot was identical except for what was planted in them, she said. They also planted plots that had one species at a time and then three species at a time, and then six species at a time to test a popular theory that the more species you plant, the more functioning you will find in the system, she said. So they brought what they learned forward to the second phase; they didn’t plant picklweed. The second phase was 20-acres, big enough to test the need to add topographic heterogeneity to the site. They added creeks and pools formed on their own, a benefit to both fishes and plants, she said. They experienced some unanticipated problems with sediment, with one event bringing a lot of sediment down and filling large portions of the tidal creek, costing about $3 million to excavate. A sediment retention basin next to the order was filled in with the first flood, so that had to be redone, she said.